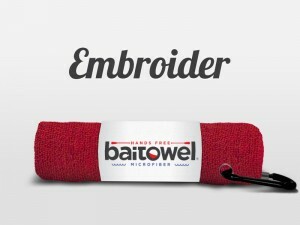 Microfiber Fishing Towels by Baitowel clean fast, clip easy and cost less. They are made of super absorbent anti-microbial microfiber, and are perfect sized to keep handy while fishing. The easy-to-use clip quickly secures Baitowel so it won’t get dirty on the ground or get lost. 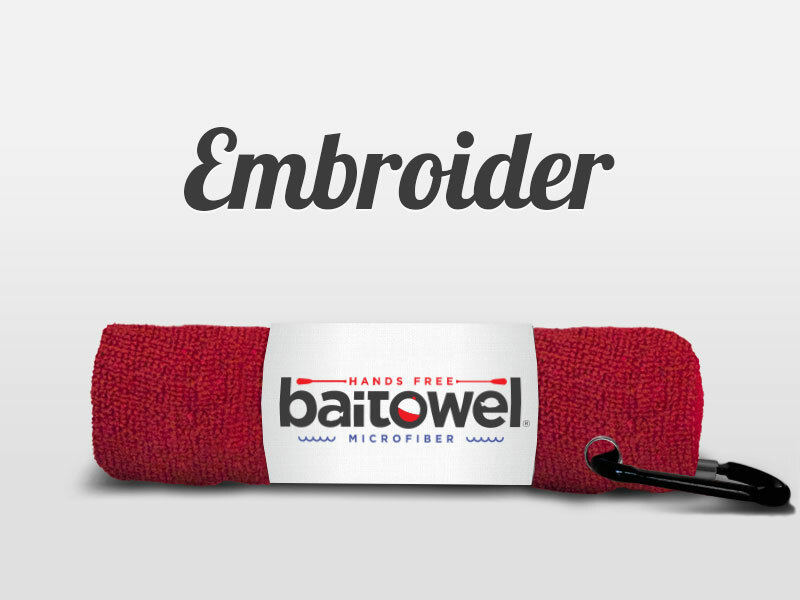 Now our Baitowel Fishing Towels can be logoed. Embroidery Logoed Fishing Towels by Baitowel make superb custom fishing prizes, corporate promotional prizes and derby gifts as well! A Logo Baitowel is a gift anglers will use and appreciate. Many fishing tournaments & outings across the country are placing Logoed Baitowels in their Gift Bags. Fisherman love Baitowels and will use them right away! Tournament Committees and Event Planners love the affordable price! A perfect Sponsors Giveaway gift! Fishing Towels with Logo by Baitowel usually range from $5.49 to $6.99 depending on logo size and the number of stitches. Minimum is 48 Pieces. You can e-mail us at info@clipwipes.com so we can carefully coordinate all your custom logo details. Order Logo fishing towels to promote your company or fishing event.